All donations are tax deductible and go to KIF1A.ORG, a patient-led nonprofit 501c3 (Tax ID: 82-0714729) that supports KIF1A research at the Chung Laboratory at Columbia University Medical Center. 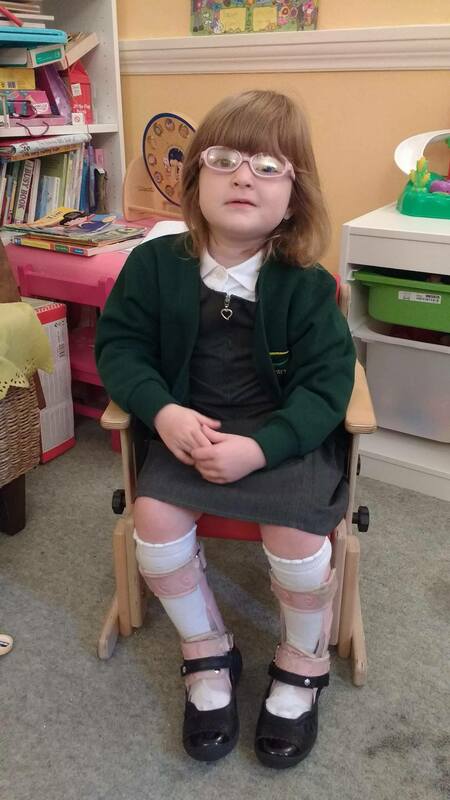 100% of the funds benefit this vital research needed to find treatment for children living with KIF1A. 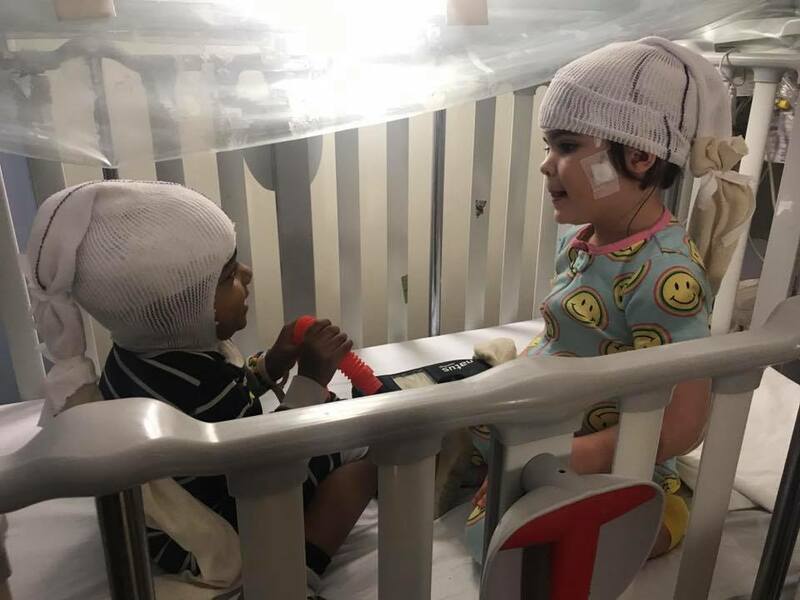 KIF1A Disorder is a very rare and degenerative neurological disease affecting children born with a mutation in the KIF1A gene. 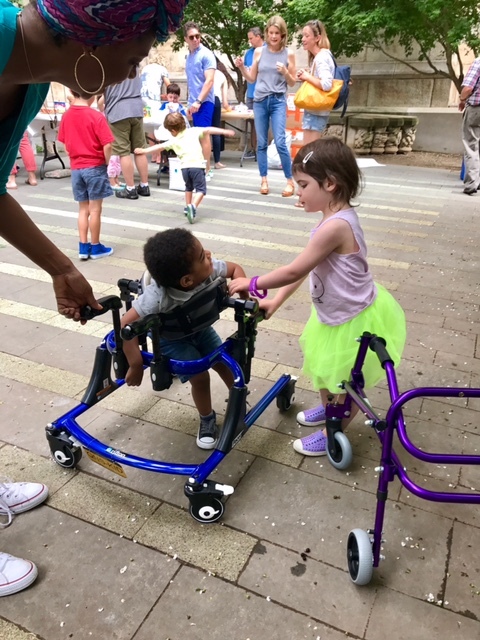 Researchers and physicians at Columbia University Medical Center are relentlessly working to discover treatment for every child living with KIF1A. We have an urgent need to accelerate this research, and your donation today drives us closer to a cure. Fewer than 100 children throughout the world are reported to have KIF1A. There is no cure or treatment. Yet. 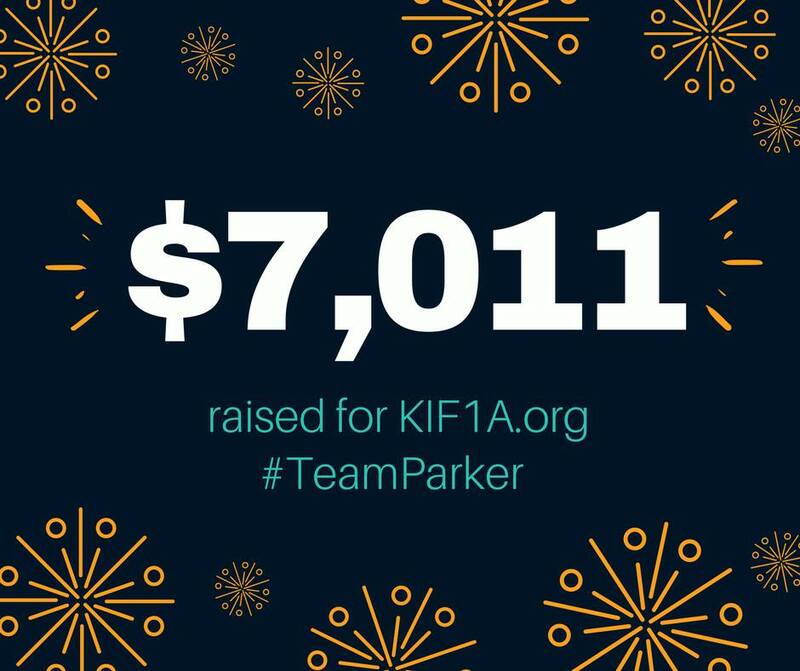 With your support, we will continue to fund intense clinical research to discover a cure for every child living with KIF1A. 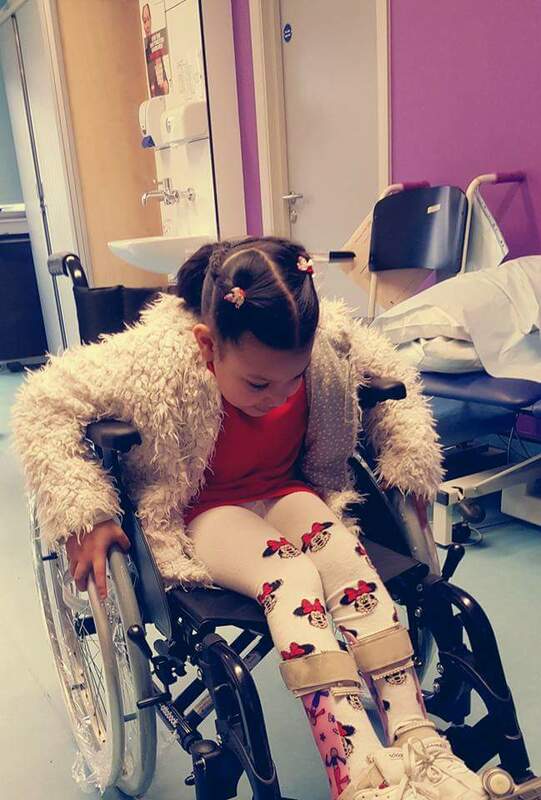 Waiting is not an option for KIF1A kids, we need your help today. 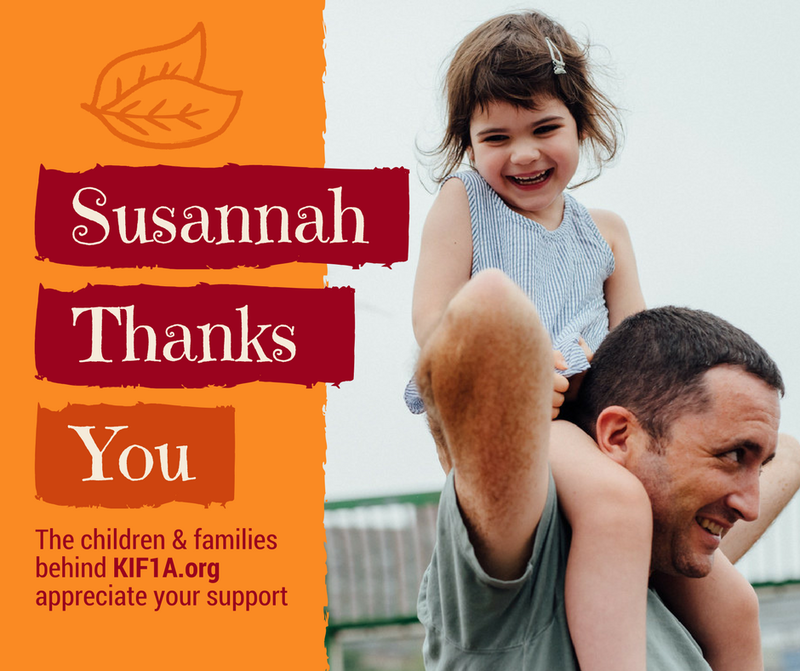 In August 2016, Luke Rosen and Sally Jackson's two-year old daughter, Susannah, was diagnosed with a rare, neurological disease called KIF1A Disorder. When doctors told them no cure or treatment exists for this progressive disorder, Luke and Sally had to act fast. 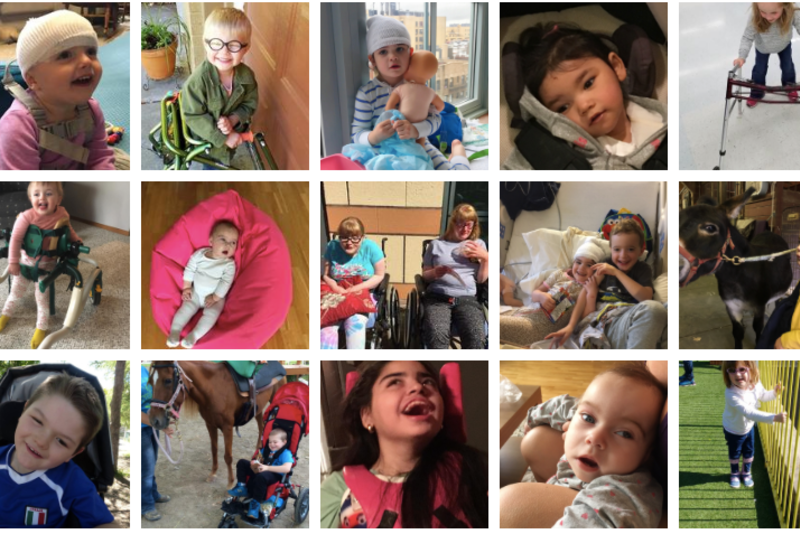 KIF1A.ORG began in October 2016 and works relentlessly to discover treatment for children diagnosed with KIF1A Disorder. 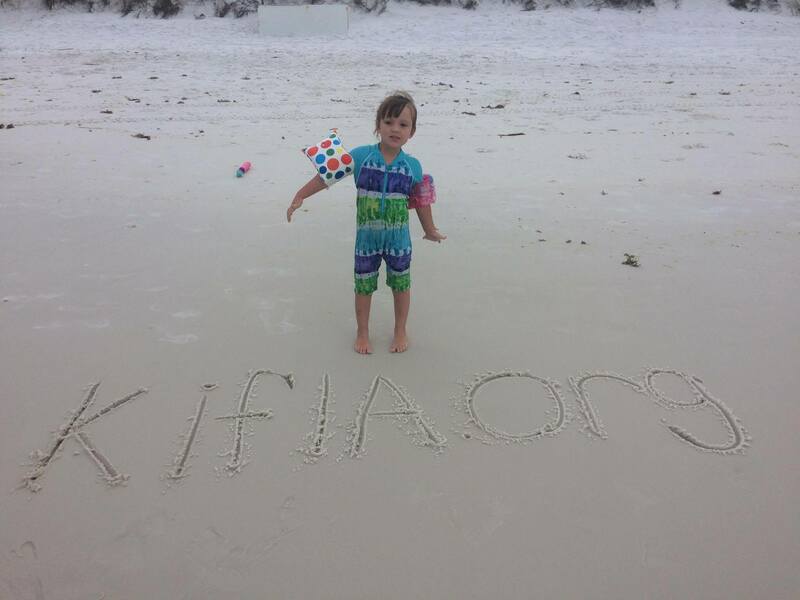 KIF1A.ORG's mission is to locate other patients and urgently raise money to fund research leading to treatment for KIF1A Kids. 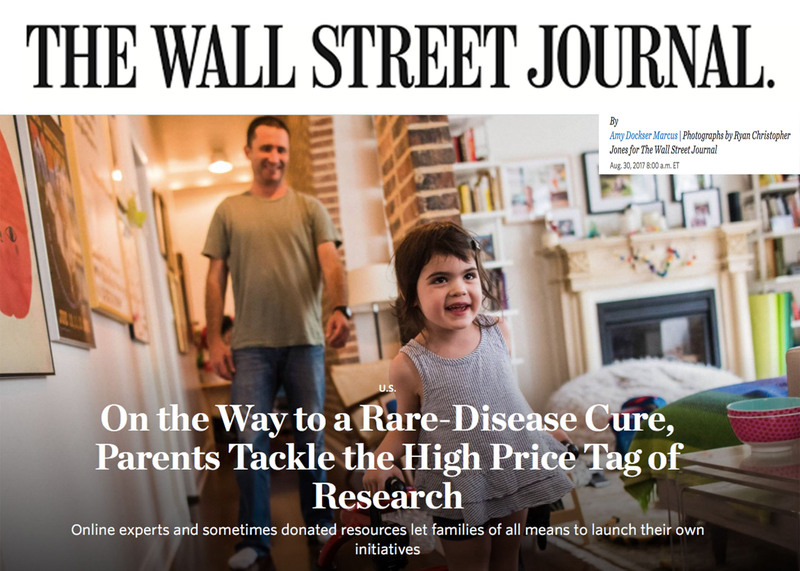 Gene therapy and drug development are within reach, but there are two things preventing us from finding that cure: time and money. There is no time to wait, we need to find treatment today. With your support we can make that happen. 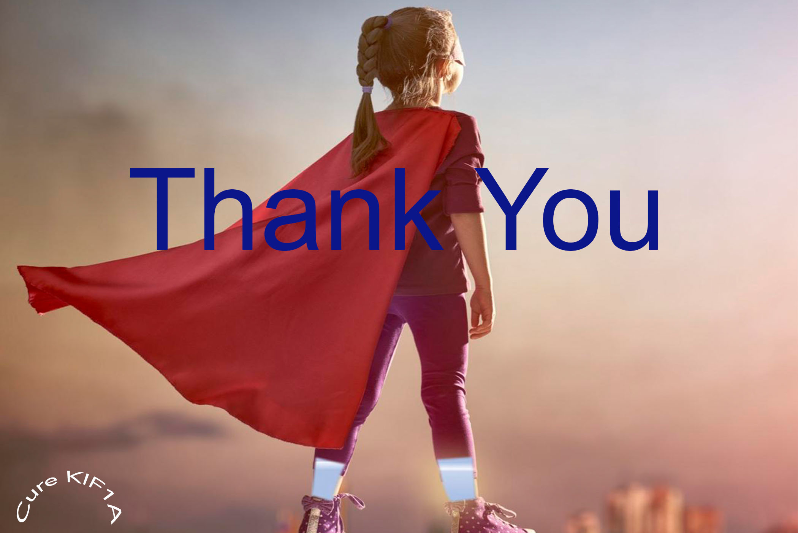 Thank you to our monthly recurring donors. Contributing monthly makes a big difference, and so do you! A Rare Disease Day Video For You! 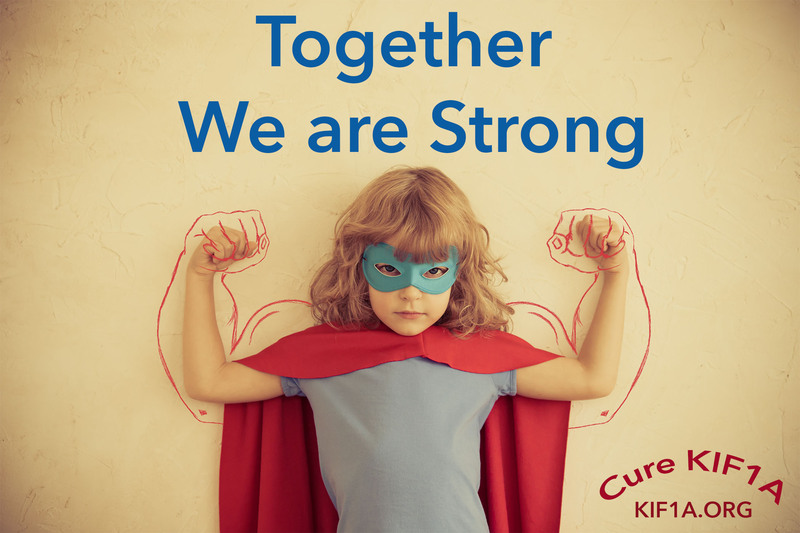 KIF1A families thank you for your support in driving us closer to treatment every single day. First off, our supporters rock. Thanks for a solid January of fundraising, we were able to contribute $10,000 to our research initiative from January's generous donations! February fundraising is off to a great start. Part of that great start is because of the Carousel of Possible Dreams. 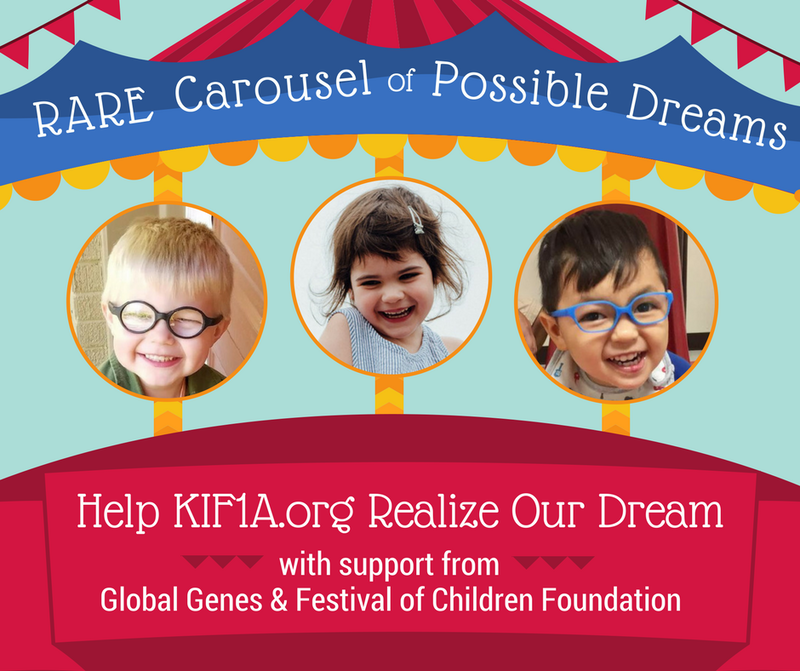 To take part, you can be a carousel rider and share the KIF1A story across social media to reach our goal. No financial obligation, you've already given a lot, but you can help us drive to our February 28th goal of $25,000 in February! Join us, it's easy, click here and make it happen! Ride the KIF1A Carousel Today! 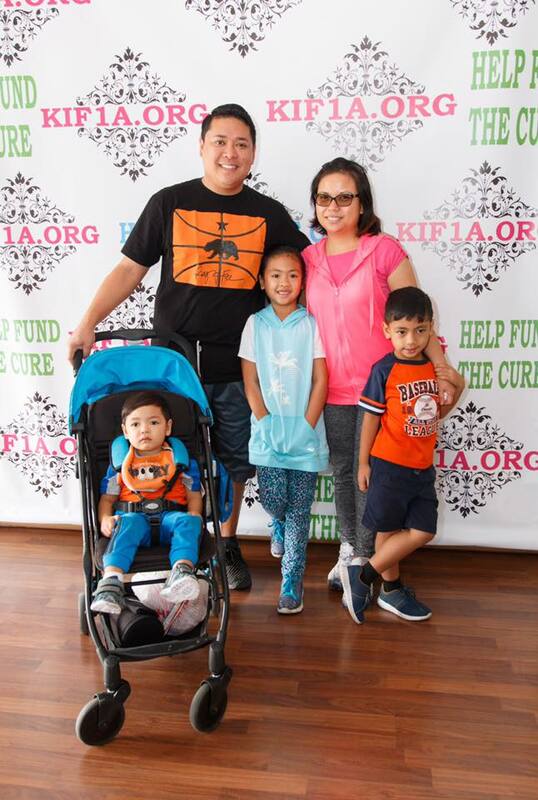 The Owera's continue to bring awareness and raise vital funds for KIF1A research! #TeamSadie Rocking an incredible event! Wonderful awareness, with great fundraising and creative spirit. 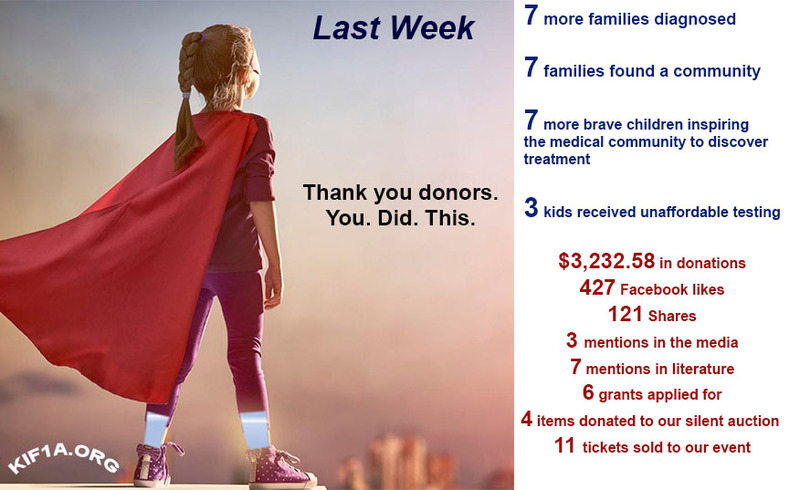 Thank you all for an amazing Giving Tuesday! Here is the link complete with messages from all who supported with a two nickels, a dime, a dollar and all the high fives in the world. You make a difference. 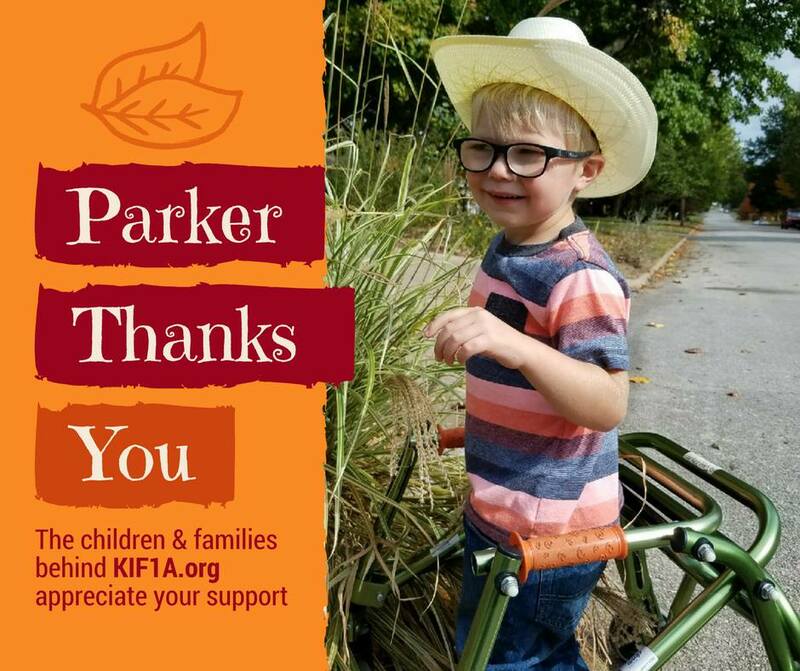 Thanks to Kathryn and #TeamParker for designing our November Thank You messages! 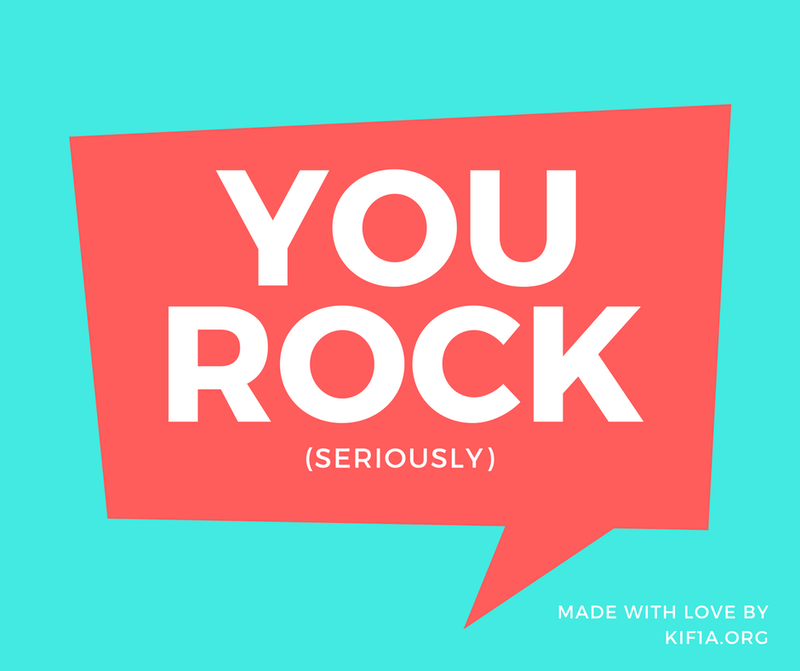 If you make a small monthly donation, soon you will have a whole collage of KIF1A Kids saying "Thank You!" 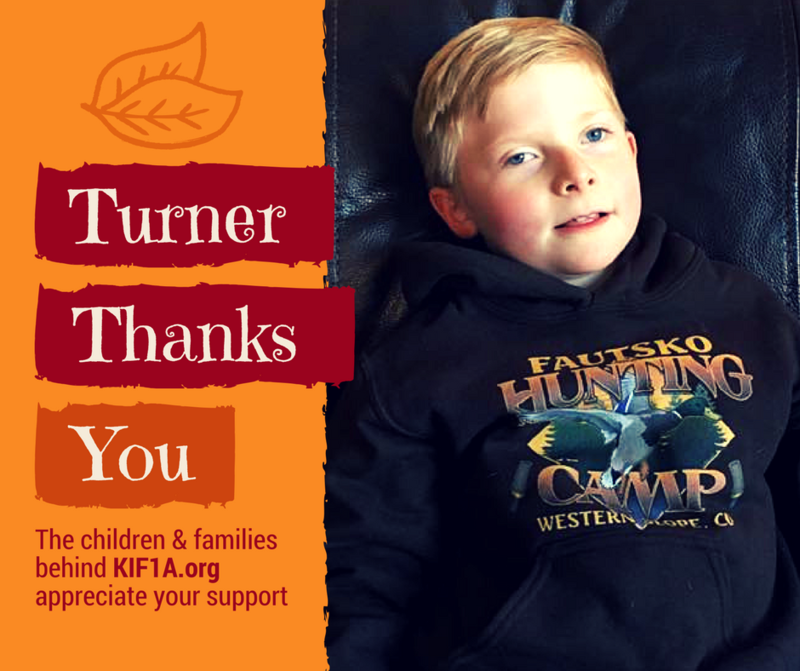 Thank you to our supporters for helping us discover treatment for every child living with KIF1A. 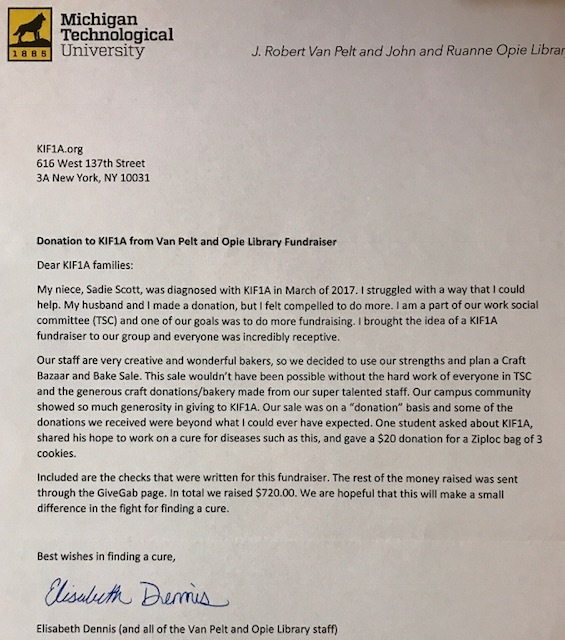 Thank you Van Pelt and Opie Library Staff! GREAT fundraiser! You mean the world to all the KIF1A families! 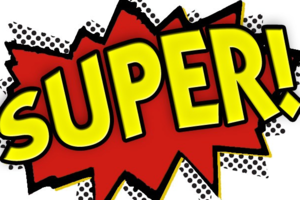 This week's KIF1A Superhero is... EDWARD! 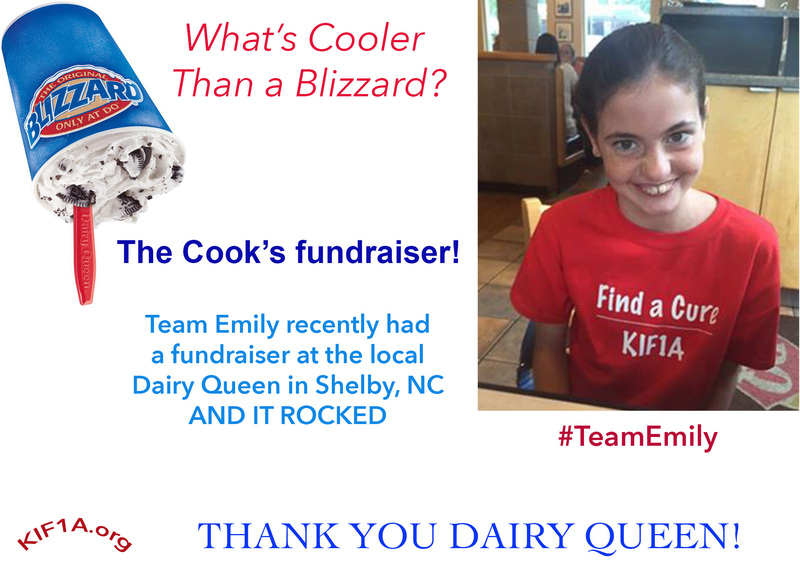 Thanks for the support team, lets drive through and hit $90,000 during Edwards week! Drumroll please... 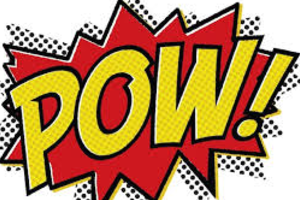 This week's KIF1A Superhero is... Caitlin! 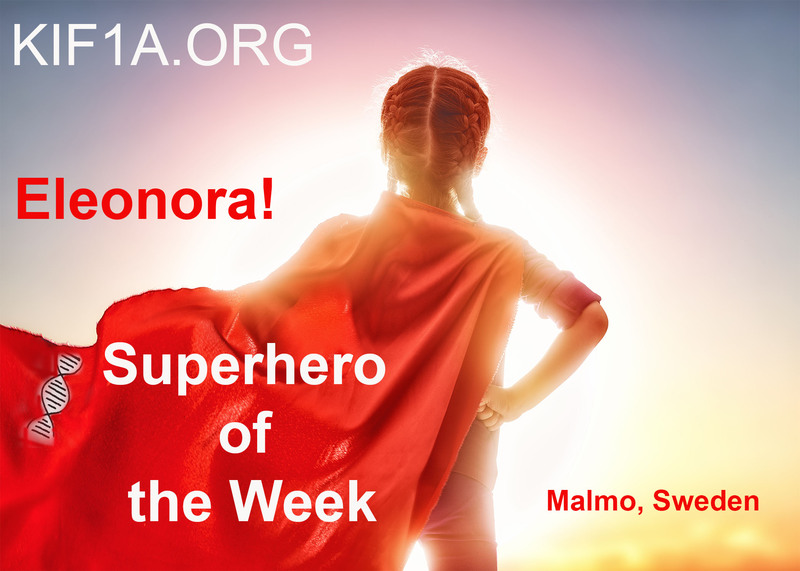 Superheroes of the Week... Eleonora and Florence! Ok, that's one word. But lets get our research funding going strong heading into the school year. Thanks for the support team, keep on going! Last week somebody very wise told me "We all have mountains in front of us, the question is who is brave enough to climb to the summit?" KIF1A Kids are. 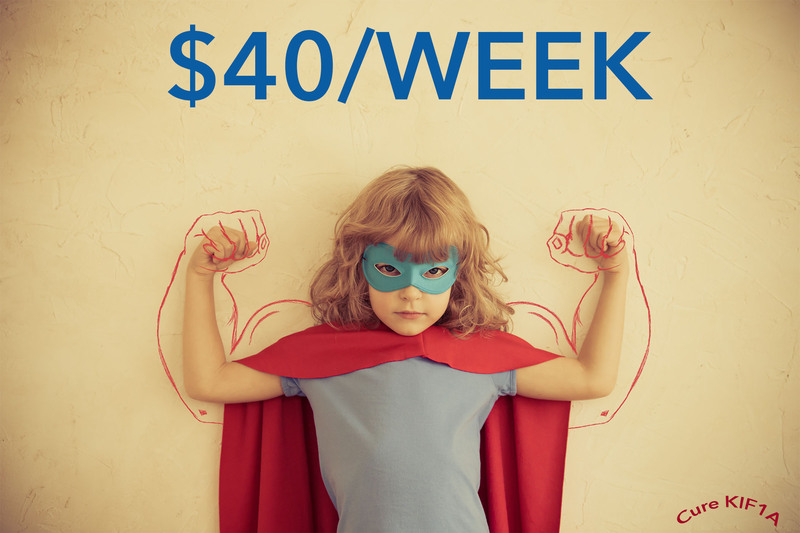 $40 Every Week. Who's Ready? We have 48 strong families in our group. If each family raises $40 every week for one year, we can raise $100,000 in one year. If each family found 4 friends to donate $10 every week for one year, we can raise $100,000 in one year. $160 every month is a lot to ask, but lets join forces and fund KIF1A research. Thank you supporters! Lets finish August strong and reach our goal! Superhero of the Week... BRECK! Hello incredible supporters! 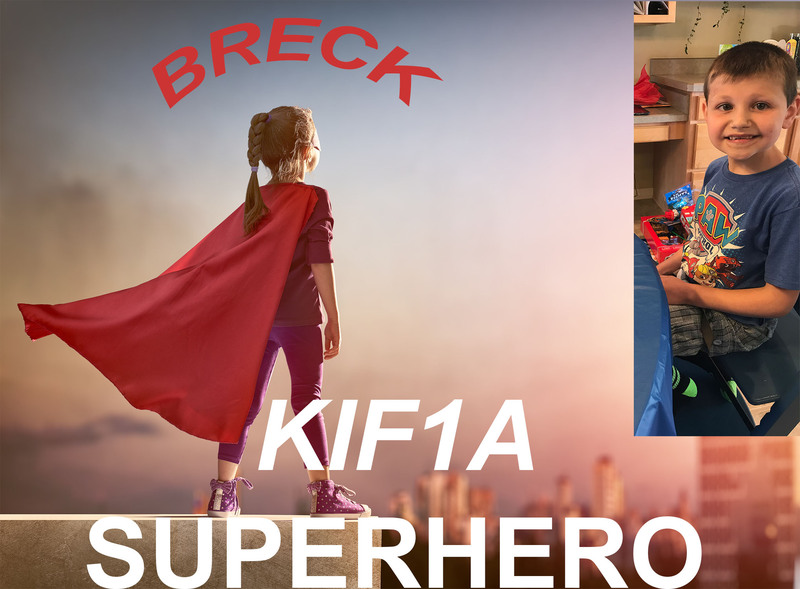 This week's Superhero is Super Breck! What an amazing day. Thanks to all our incredible supporters for a great KIF1A Day! 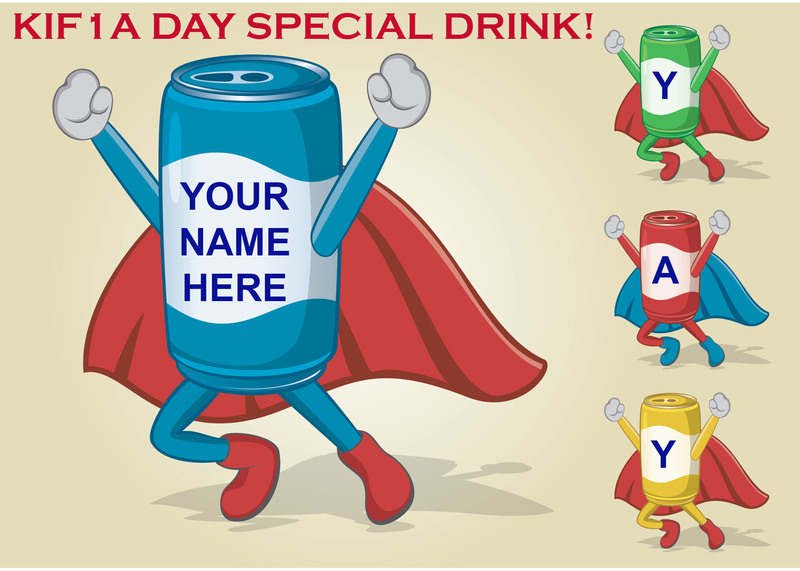 Donate $20 before midnight tonight and we'll name a drink after you on KIF1A Day! 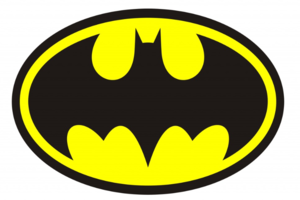 Have a great weekend, Superheroes! Thanks for the support - it was a great week. More progress this week! Keep ip the great work. 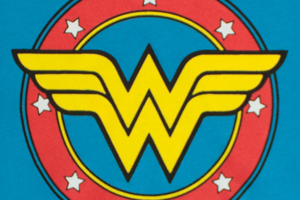 Check out this incredible blog by #TeamParker! Some great awareness being spread by KIF1A supporters and families. Click HERE to read Susannah's story in Lyfestories. 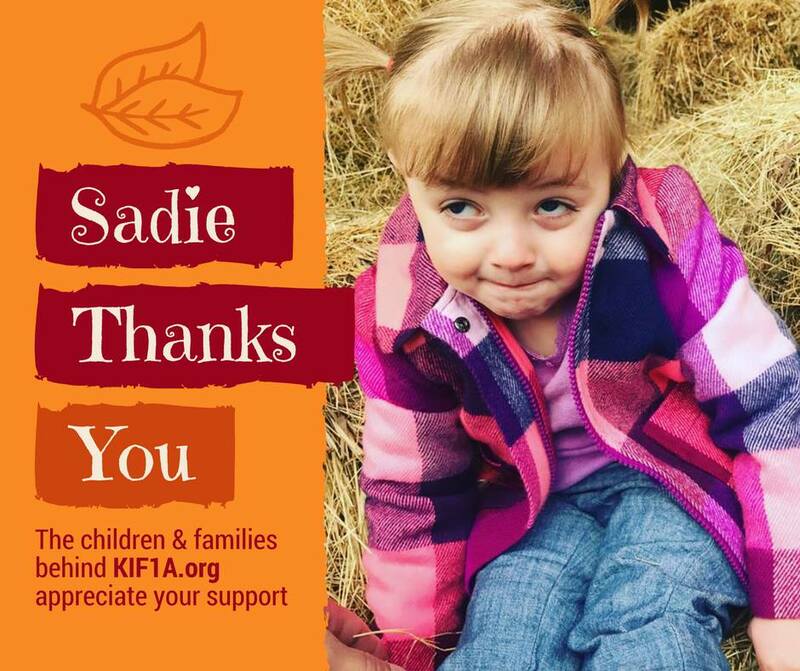 Click HERE to read about Austin and Sadie in the KIF1A Blog. 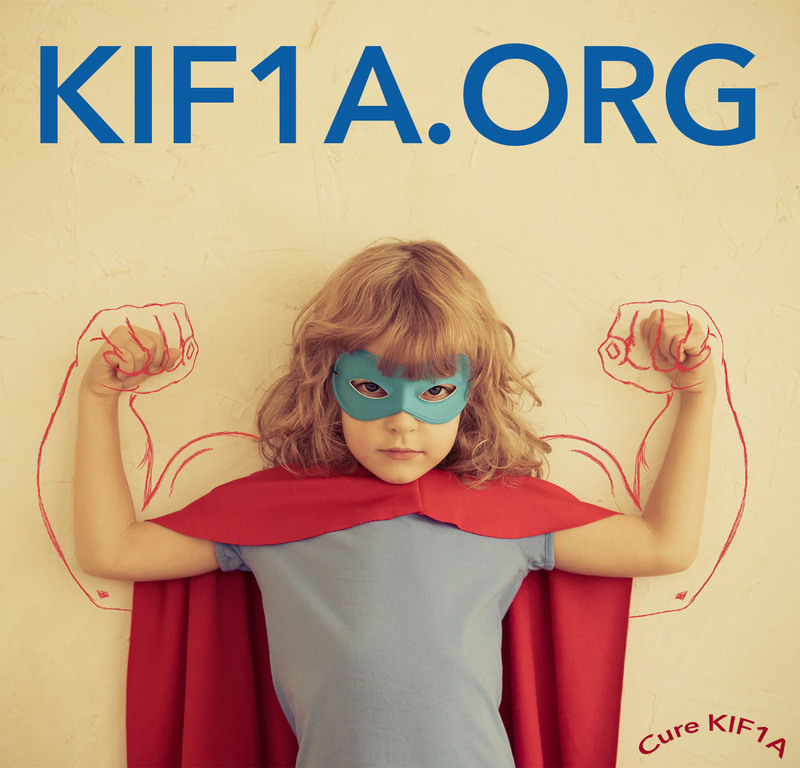 AND Don't forget to register for KIF1A Day and support our mission to Cure KIF1A! 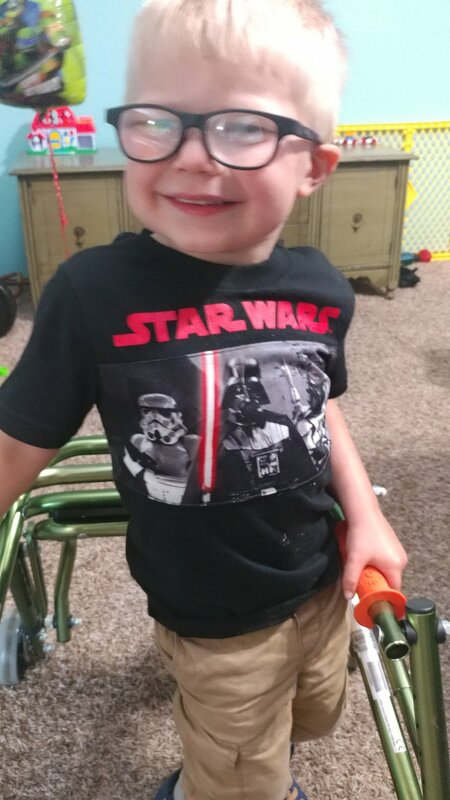 Keep the force strong, Parker sure does! 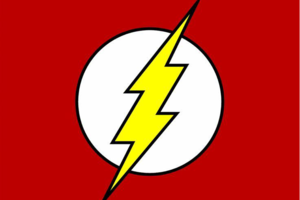 KIF1A SUPERHERO OF THE WEEK! Drumroll please..... 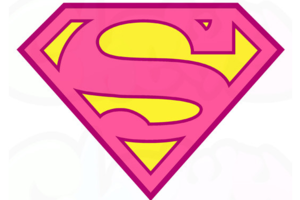 This week's KIF1A superhero is..... Lexi! The coolest gal in North London. 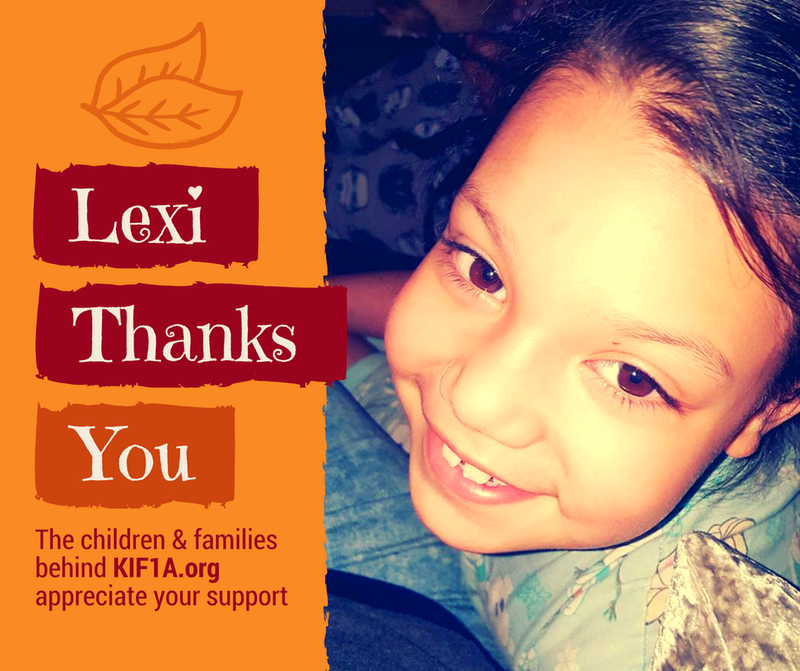 Everybody give a big shout out to Lexi when you support KIF1A this weekend! Thank You Donors! 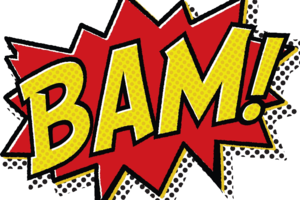 April-June Donor List: $43,000! Drumroll please... 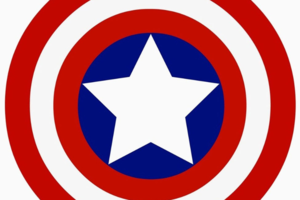 This week's KIF1A Superhero is... Rikki!!!! The girl rocks, and so does her whole family. Continued thanks to all the KIF1A supporters. 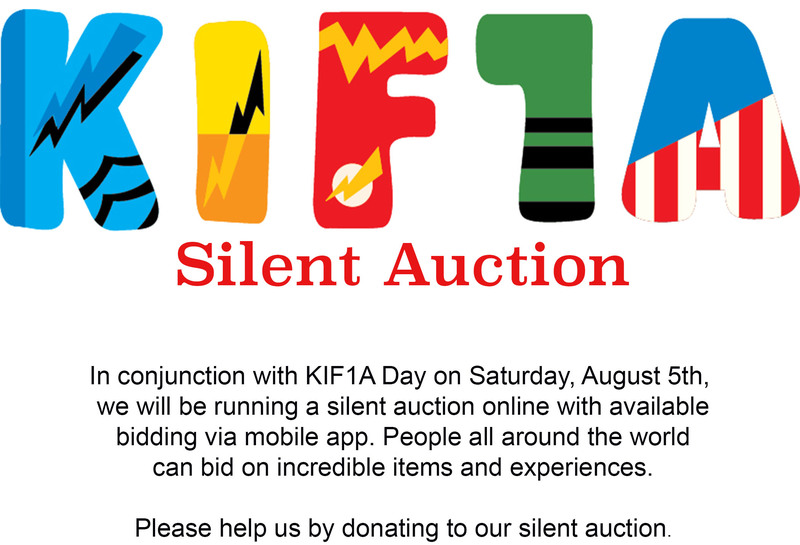 Don't forget about KIF1A Day coming up on Saturday, August 5th! Details here. 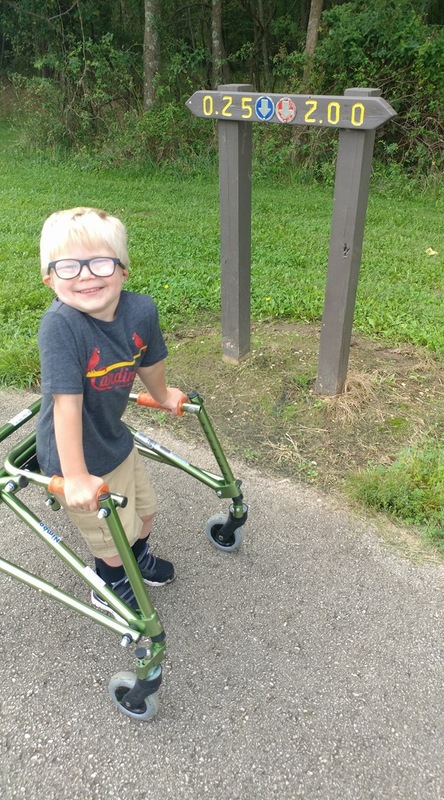 KIF1A Associated Neurological Disorder is an extremely rare disease affecting fewer than 200 children throughout the world. A rare mutation of the KIF1A gene causes a degenerative neurological syndrome with a progressive course. There is no cure or treatment. Yet. We are urgently raising funds to support KIF1A research at Columbia University Medical Center's Discover Program. 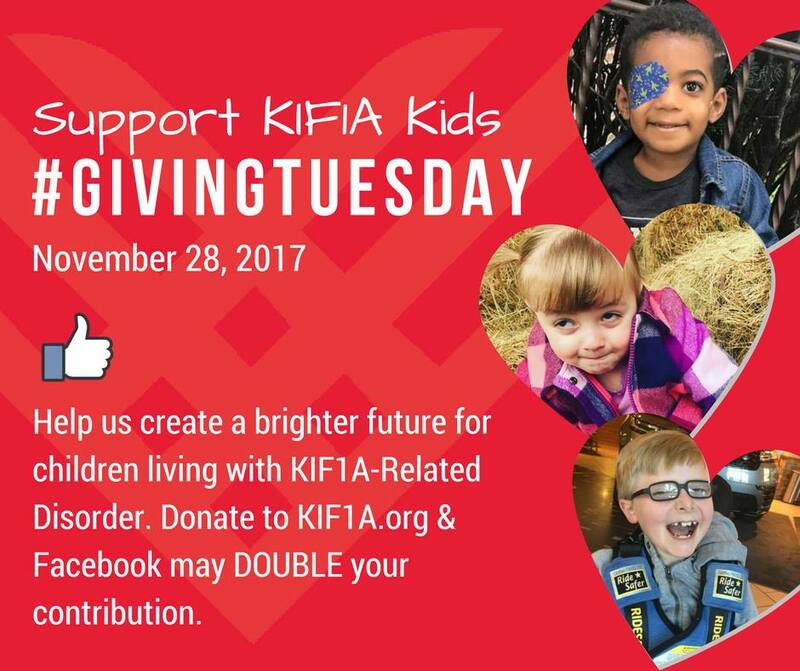 The window of opportunity to help kids with KIF1A is not a big one, every single day matters. With your help we will fund innovative research leading to treatment for every child living with KIF1A. Waiting is not an option for KIF1A kids, we need your help today. 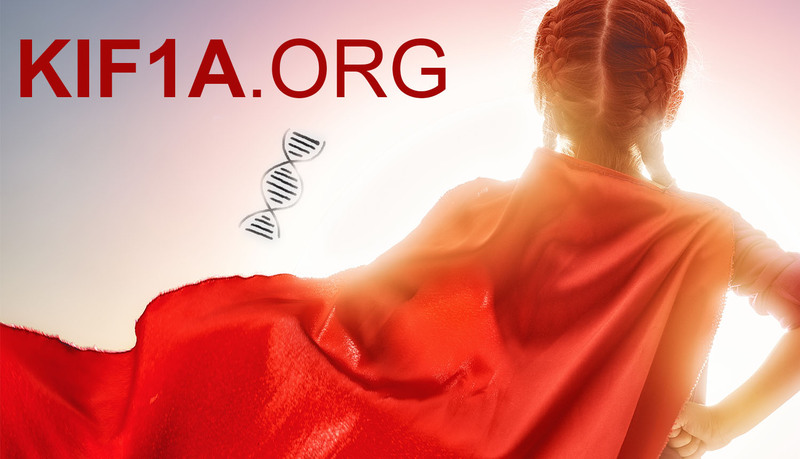 With guidance from physicians specializing in genetics and neurology, we are funding research leading to clinical trials, treatment, and eventually a cure for KIF1A Disorder. Our goal is very possible. 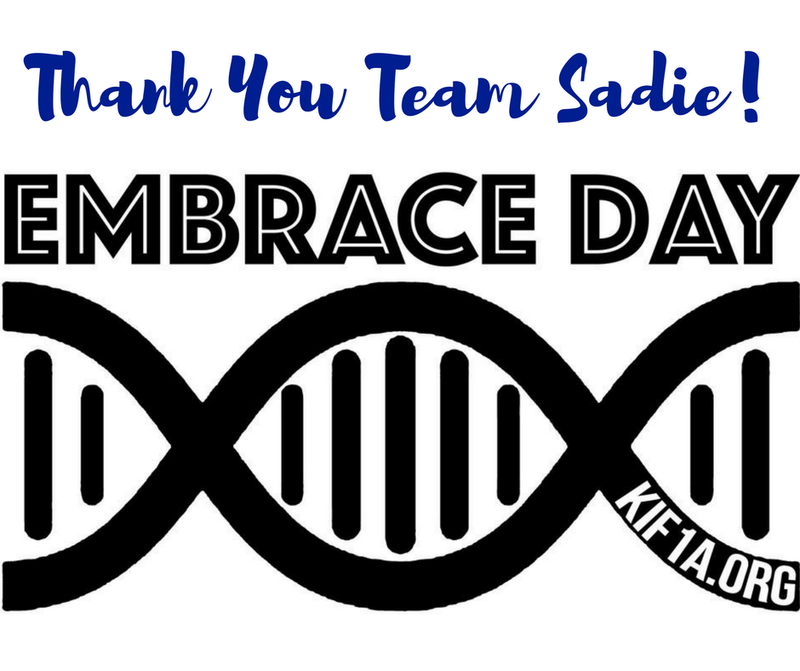 Thank you for helping us cure KIF1A.